Inspiration strikes at funny times. Chris Behr was just watching TV and playing around with the Shape tools in Illustrator. His mind wasn’t focused on either task. He casually divided a square into a grid, then randomly colored it. Something about the colors inspired him to combine the grid with a couple of icons that he had been doodling the night before. 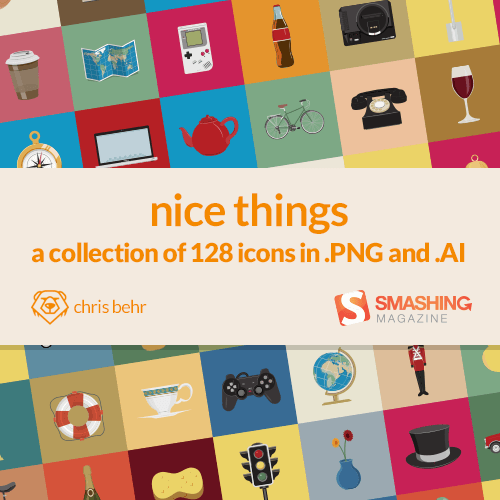 Thus, Nice Things was born, a set of 128 original, beautiful icons that we are honoured to present to you. Chris wanted to make it as easy as possible for you to hit the ground running. So, you get three PNG sizes: 100×100, 400×400 and 800×800 pixels — all available with and without backgrounds. In addition, the set includes the original source AI file, complete with named layers, to help you find what you need. Nice Things includes 128 carefully drawn illustrations of all kinds of pretty things around us — a bike, birthday cake, watch, traffic light, game console, doughnut, speaker, rollerskate, starship and much more. You may freely use it for both private and commercial projects, without any restrictions, including for software, online services, templates and themes. 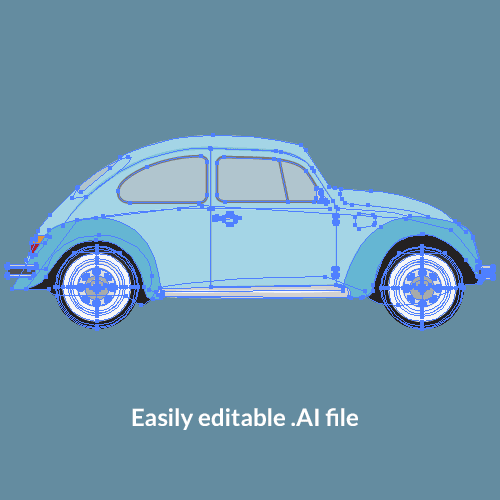 The vector-based files are easy to edit and break out individually. 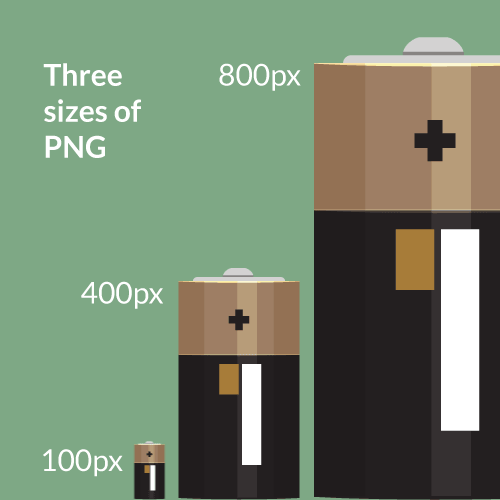 Hit the ground running with three different PNG sizes! This entry was posted in Freebies, Resources and tagged freebies, icons, Resources. Bookmark the permalink.